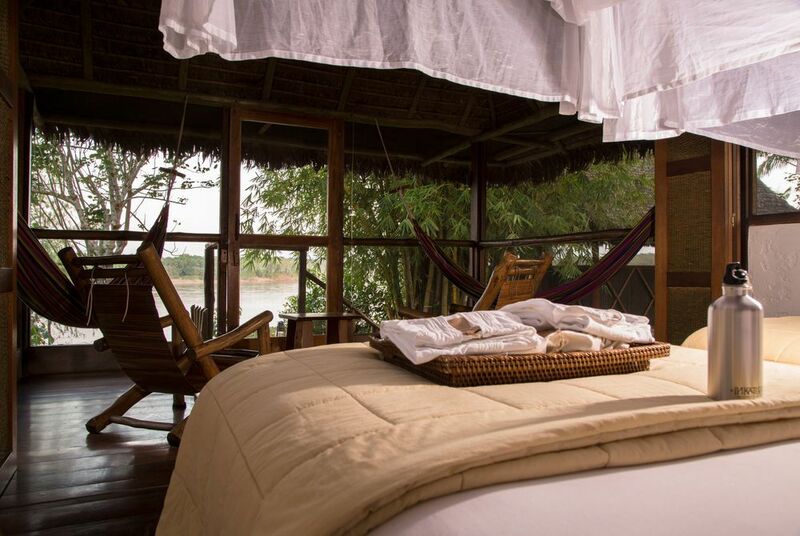 Set in a private reserve on the banks of the Madre de Dios River, surrounded by the vast expanses of the Amazon Rainforest, Inkaterra Reserva Amazonica offers its guests one of Peru's finest ecotourism experiences. Here, in a region of incomparable biodiversity, you'll enjoy a range of exciting excursions, from challenging jungle treks to relaxing river trips, all designed to make the most of the region's incredible flora and fauna. 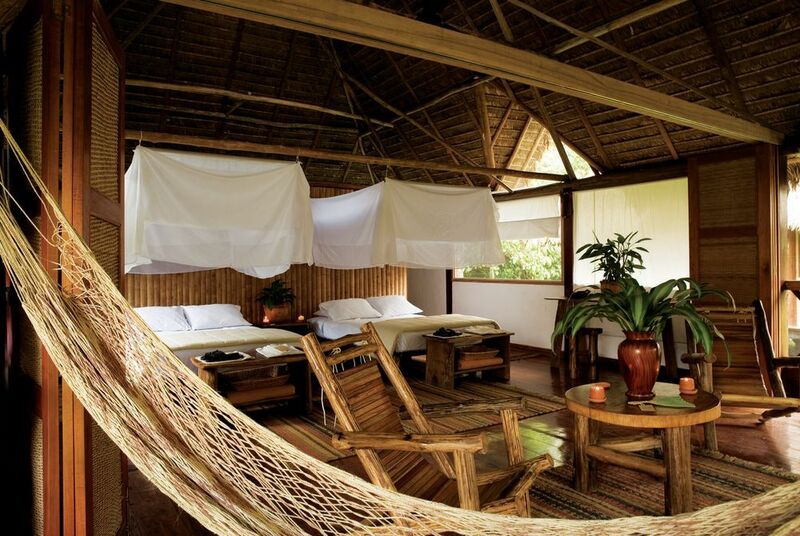 The lodge's 35 private thatched cabanas combine natural materials and native Amazon design with modern amenities, creating stylish luxury hideaways in the heart of the rainforest. 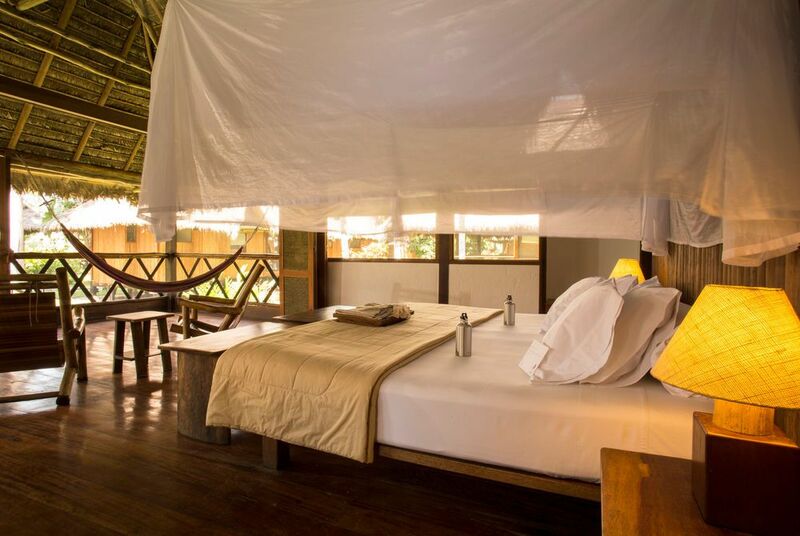 All rooms have their own screened porch and hammocks, tropical ceiling fans, warm water showers, lanterns, low-impact electricity, organic bath products and luxury robes and slippers. 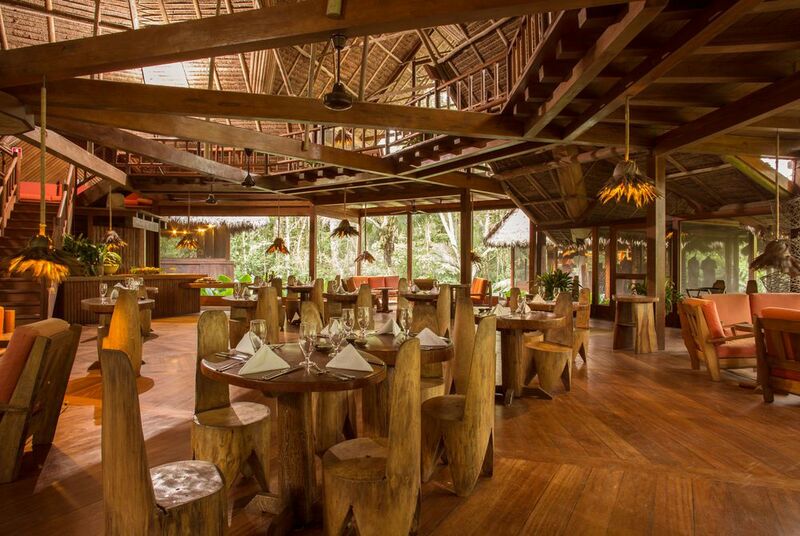 The lodge's two-story main building forms the heart of the property and it's here you'll enjoy breakfast, lunch and dinner. The inventive menu takes advantage of fresh local ingredients and combines traditional Peruvian flavours with recognised international favourites. The first floor cocktail bar is a great place to relax, enjoy a drink and discuss the day's adventures with your fellow guests. 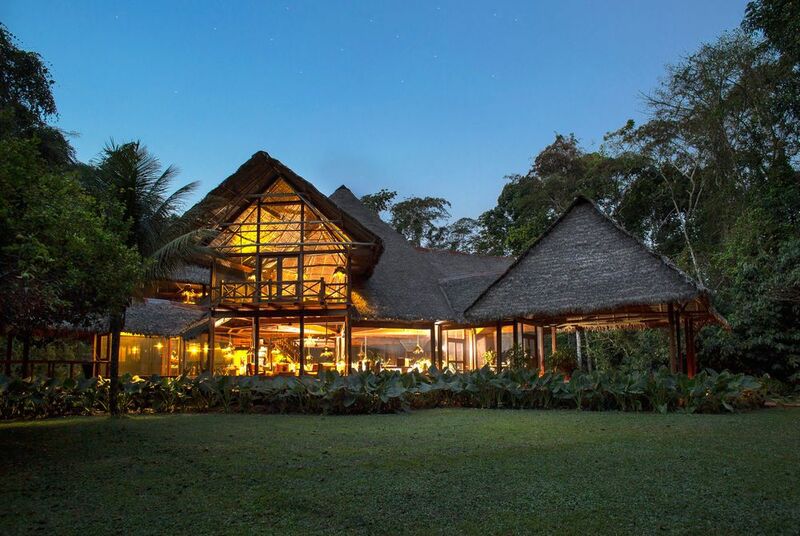 Facilities at Inkaterra Reserva Amazonica include casual conservation areas, a bar, a gift gallery, balconies for bird watching and stargazing, a relaxing spa offering massages and treatments overlooking the Madre de Dios River, custom itineraries and evening nature presentations. Excursions from the lodge focus on the stunning nature and diverse ecosystems of the rainforest as well as the unique culture of the people who make their homes here. 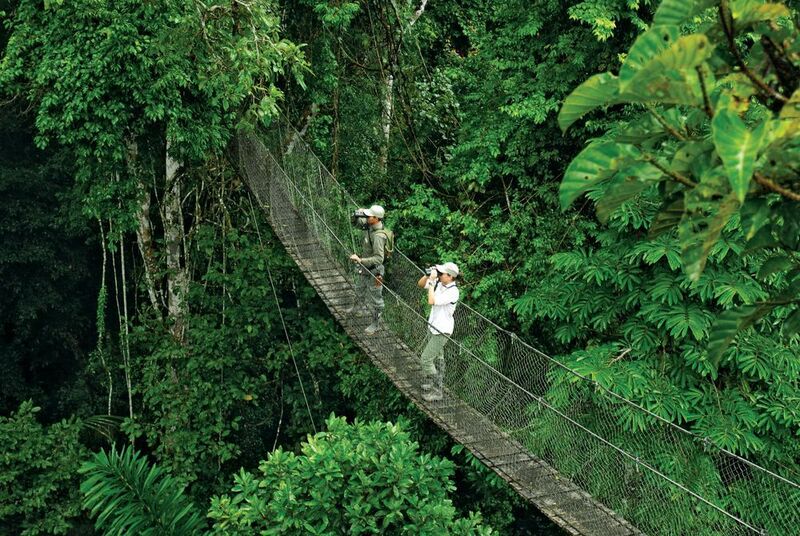 A collection of quarter, half and full day trips of varying difficulty take you into the very heart of the jungle by foot and canoe to learn about the flora, fauna and native customs of the Peruvian jungle. 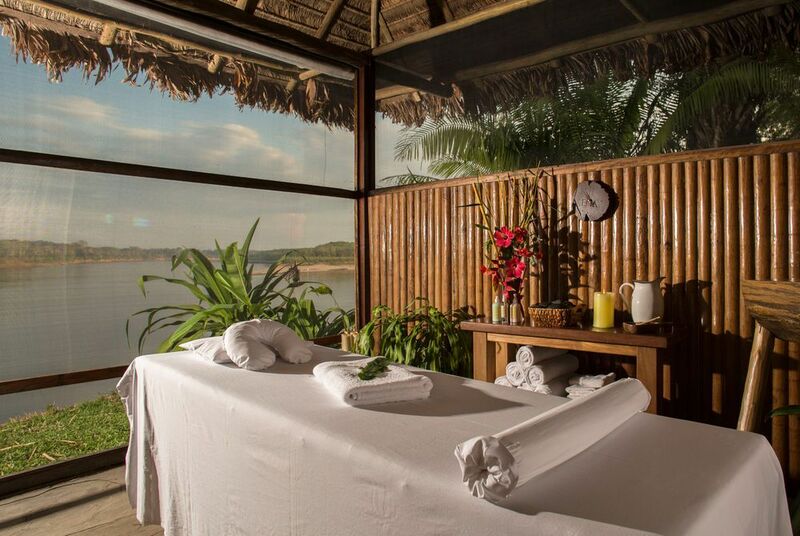 See the likes of Peru’s Amazon Rainforest and citadel-capped Andean peaks in luxurious comfort, enjoying private touring, included excursions and gourmet dining. In between, this comprehensive tour showcases everything from Cusco’s colonial charms to the Sacred Valley’s Incan history. 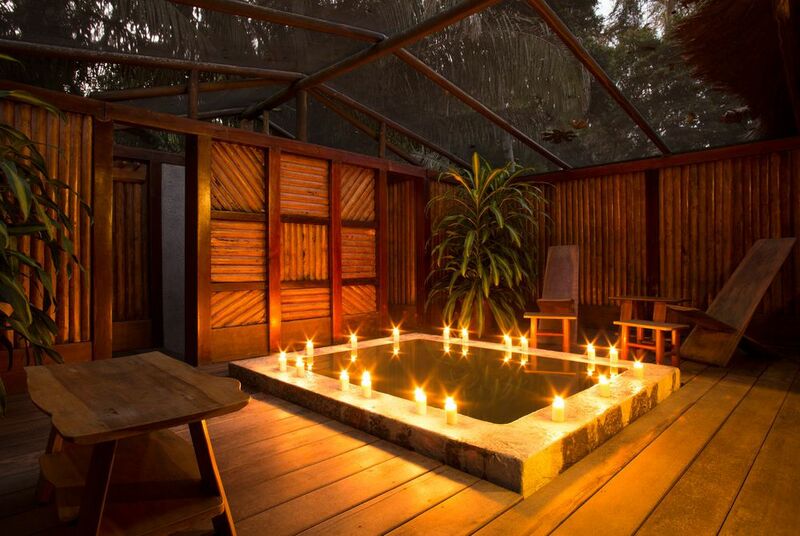 Laze down the Amazon, spotting pink dolphins from the comfort of your bed or outdoor Jacuzzi, as you enjoy fine-dining cuisine and exploratory excursions.